Well, I'm planning on taking over the world one day from my secret island hideout. Own a rocket/tank/super car and employ endless henchmen. (No agencies please). I have an extensive background in software development, creating content-rich web applications and background services using established technologies and design patterns. Amazon Alexa development has become an obsession over the last 2 years. My most popular Skill Popcorn Quiz, released in May 2017, stormed into the Top 10 Featured, Recommend, Staff Picks and Most Popular categories on the Amazon homepage and has stayed there for over a year now. With 875,000 games played to date, there is no better way to build new features, improve my UX skills, and manage cloud-based deployments when you have 190,000 world-wide players playing your game 24/7. 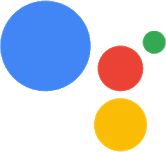 My first venture on Google Assistant development has now brought Popcorn Quiz running on the same game engine. This has opened up a whole new dynamic now that the Alexa players have some fierce competition! Employed as an Innovation Developer working with new and up-and-coming technologies to create innovative concepts and prototypes for future markets and opportunities. I'm working with Node.JS and MongoDB, this is evident if you take a look at my repos. I'm loving the performance and scalability of the MEAN stack and the friendly, pro-active community support that comes with it - a refreshing change from my days working on .NET solutions. You can also find me on the education discussion boards at MongoDB, which I'm a heavy contributor to since starting a series of online training certifications. When not attached to a keyboard, you'll find me on a mountain bike trying to get as muddy as possible on a woodland trail or carving up the white stuff on a snowboard trying not to break myself. Did I mention that I bake...?! Think you know movies? Test your skills against the world! Popcorn Quiz will ask five true or false questions from a vast range of movies and actor biographies. For a given movie, Popcorn Quiz will quiz you for the year, actors, slogans, directors or characters. For actors, Popcorn Quiz will quiz you for their birth year or place of birth. Popcorn Quiz will keep your score and tell you your world ranking position compared against other Alexa and Google players. The more games you play and the more questions you answer correctly, the greater chance to increase your world rank. To reward your dedication, every 5th consecutive game will be a double-point round. Every 10th will be a triple-point round! Double-point events happen every three days, so every player gets a fair chance to storm the ranks. 8 Apr - Want some triple-points? Leave a review for Popcorn Quiz (good or bad! ), and I'll reward EVERYONE with a day of triple points! 18 Mar - Popcorn Quiz now uses additional voices! Polly will be used to speak the quotes, using a male or female voice to match the movie quote, giving you an audible clue to the question. I'm now beta testing Boosters and periodically adding them to my most active players. 20 Jan - 2019 movies are now available. Each new movie will be added to the game once they have received a public rating. This is to ensure that the movie has been released and the questions are as accurate as possible. 5 Jan - To celebrate National Popcorn Day 🍿 on the 19th Jan, Popcorn Quiz will be serving triple points! 28 Dec - The Popcorn Quiz New Year gift 🎁 to everyone is 2 days of triple points! Starting New Years Eve 🎆, every round will bag you bonus points! 15 Dec - The Popcorn Quiz Christmas gift 🎁 to everyone is 3 days of triple points! Starting Christmas Eve 🎄, every round will bag you bonus points! Did you get max points? Do you want to gamble on a single question to double your score? Do you feel lucky? Well, do ya?? 12 Nov - Popcorn Quiz has now launched in French-Canadian territories for Alexa devices! 4 Nov - New game feature now released! Your first game of the day will be worth triple points! 22 Oct - 🎃 Halloween is soon upon us and Popcorn Quiz will be dishing out the tricks and treats again this year with Horror movie rounds and double point days. Halloween mode plays every night when the sun goes down from 6pm to 6am GMT. 13 Oct - Hej! The Danish version for Actions for Google is now live! 25 Sep - Olá! The Brazilian version for Actions for Google has now been released! 14 Sep - Actor questions have now been opened up to all non-English languages! 7 Sep - こんにちは (Kon'nichiwa) Popcorn Quiz now welcomes Japanese and Mexican players on Alexa!! 3rd Sep - Actions for Google version is now LIVE! To play, just say 'Ok Google, Talk to Popcorn Quiz' via your Google device to compete against other Google and Alexa players. Look out for games in the league. 2 Aug - Hola / Ciao! Popcorn Quiz welcomes Italian and Spanish players! 11 Aug - Bueno! Development has now started on the Mexican version! The Echo is due for release later this year and PQ will be there to welcome our new friends. 29 July - こんにちは (Kon'nichiwa) Development is well under way on the Japanese version. 9th July - Teasing an upcoming event on Wednesday and added a few more phrases to the game. 2nd July - Hola / Ciao! The Italian and Spanish language options have now been submitted for certification. 15th June - Bonjour! Popcorn Quiz François is released today! 14th June - NEW GAMEPLAY FEATURE NOW LIVE! Reward your dedication - every 5th consecutive game is a double-point round, every 10th is triple points. 5th June - Released some minor optimisations and few more phrases to the game. 29th May - The Popcorn Quiz Birthday Event was a great success, treating players to triple point rounds. 19th May - Released some minor optimisations and few more phrases to the game. 2nd May - On May 4th, Popcorn Quiz with be celebrating Star Wars Day by giving you Sci-Fi rounds. 20th Apr - Popcorn Quiz François has been entered for Amazon Certification. 8th Apr - Popcorn Quiz François is almost complete and will be entering Amazon Certification this week. 20th Mar - 250,000 GAMES PLAYED & OVER 65,000 PLAYERS! To celebrate a new movie category has been added - Top Rated Movies! 13th Mar - NEW GAMEPLAY FEATURE NOW LIVE! Reward your dedication with a bonus-point round for every 5th consecutive game you play. 11th Mar - New gameplay feature coming soon - reward your dedication with bonus-point rounds. 4th Mar - Better feedback when asking for your rank. Alexa will now tell you how many postions you've lost in between plays if you've been overtaken. 4th Mar - Better feedback when asking for your rank. Alexa will now tell you how many positions you've lost in between plays if you've been overtaken. 27 Feb - As the game grows in popularity, the rank calculation logic has been refactored for faster performance. Those players who are further down the rankings will benefit from the performance gain. 17 Feb - NEW QUESTION TYPE NOW LIVE! Movie slogans are now a question type within the game. 2 Feb - Popcorn Quiz gets featured in the official Amazon Echo email! This introduced nearly 3300 players who played over 6200 games and helped propel PQ to almost 52,000 players and 155,000 games, making this the best day ever for PQ! 12 Jan - Reddit user alexainteractions has made a video review of Popcorn Quiz! Check it out further down! 3 Jan - Happy New Year! Popcorn Quiz is now LIVE on the Echo Show! Those lucky peeps now get a richer visual experience. 23 Dec - Popcorn Quiz is about to be released on the Echo Show! Those lucky peeps now get a richer visual experience. 17 Dec - Popcorn Quiz is now festive! Alexa will occassionaly give you rounds based on Christmas films. 3 Dec - Alexa will now give you rounds based upon genre. Look out for Action, Comedy, Horror, Romance, Thriller and many more! NEW VERSION IS NOW LIVE!! The new version is now faster at generating your questions and is ready to support even more users. It now has access to over 60,000 movies and actors and growing daily. 10 Nov - I'm aware of some performance issues with the skill, I've logged this with both Amazon and through the hosting providers. Sorry if this is affecting you, hopefully it will be resolved soon. 3 Nov - New users now get an easier time. Alexa will ease you into the game by asking you recent movie and actor questions, but not for long - she'll up her game before you know it! 28 Oct - One step closer to a century of movies! 1940's movies are now live for Alexa to use, bringing the total movie count to 50,000 and growing every day. 26 Oct - Added movies from 1950-1955 for a total of 16,000 movies that Alexa can use. 24 Oct - Actor questions now have birth place, birth year and if so, years of actors who have died are now ready for Alexa to use. 22 Oct - Hallowe'en is coming and Alexa is ready! From 6pm each evening in October, Alexa may throw you a round on horror films. 20 Oct - Actor birth places are now ready for Alexa to use. 14 Oct - Namaste! Popcorn Quiz India is ready to go and will be released on the official Alexa release day in all Indian-English territories. Alexa now has access to all our Bollywood movie database for our new friends. Happy playing! "Alexa, ask Popcorn Quiz what my rank is"
The Skill provides an addictive, engaging and challenging game that keeps you coming back to increase your score. 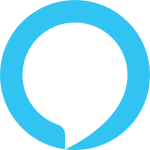 Based upon previous experiences, I've been building a dynamic personality engine for Alexa that will tease, encourage and taunt your gameplay, so expect her to get more integrated into the Skills I create. 20 Apr 2019 - Popcorn Quiz gets its first mention in the official Amazon UK email! As part of their Easter promotion, PQ was recommendated to help players win a gift voucher. 20 Dec 2018 - Popcorn Quiz gets the first review spot on brand new podcast from Voiciety.io! 19 Oct 2018 - Popcorn Quiz gets its 3rd mention in the official Amazon Alexa UK email! Go #TeamPQ! This introduced over 1,000 players who played 4,100 games and helped push PQ to 119,000 players and 705,000 games! 13 July 2018 - Unlucky for some, but not me! Popcorn Quiz gets featured in the official Amazon Echo email for the second time! This introduced 900 players who played 3,000 games and helped push PQ to 90,000 players and 469,000 games! 2 Feb 2018 - Popcorn Quiz gets featured in the official Amazon Echo email! This introduced nearly 3300 players who played over 6200 games and helped propel PQ to almost 52,000 players and 155,000 games, making this the best day ever for PQ! More of a playground for learning about the HTML5 canvas object in modern browsers. My focus is understanding features like touch/event-driven behaviour across multiple devices and browsers, and game-specific design patterns for collision detection and sprite animations. An AngularJS application which focuses on the MVW design pattern to consume a public Formula One REST API. Using the great UI Router and Bootstrap for fluid, cross-device responsiveness while learning the core features of AngularJS. I've used some great libraries: Chart.JS and Isotope to help show data in different ways. Where possible all data is cached in a MongoDB instance for the fastest possible retrieval. You can get hold of me in a variety of ways, this being the future an' all.